Brudvik Law Office is a full-service general practice with offices in Mayville and Fargo, North Dakota. Over more than 35 years, our attorneys have earned a reputation for sound legal advice tailored to the specific, diverse and complex needs of North Dakota and Minnesota residents. 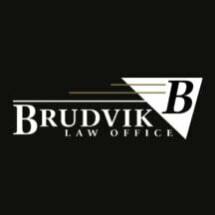 Today, Brudvik Law Office serves as one of the most experienced, long-standing firm in the area. Bill Brudvik, a native of Mohall, established our general practice law firm in 1978 with the belief that an experienced and knowledgeable lawyer can make a significant difference in the outcome of a legal matter. Today, all five of the firm's lawyers provide quality legal counsel and zealous representation. With high standards of ethics and civility, they protect the rights of their clients, often teaming with industry-respected experts to build strong, fact-based cases. Brudvik Law Office accepts all major credit cards.